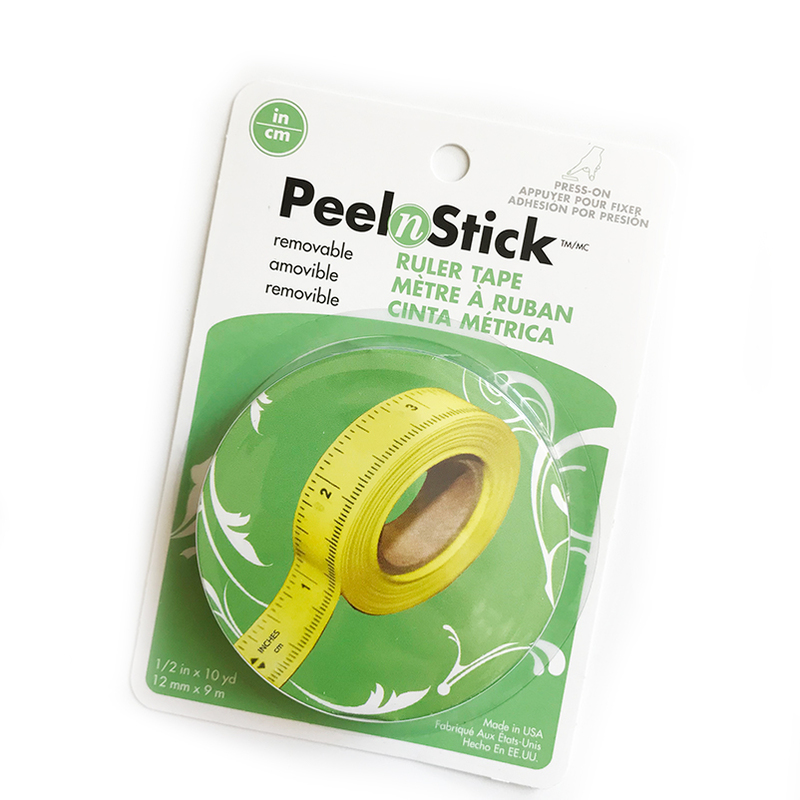 A perfect tool to have in your notions bag, this roll of adhesive tape features both inch and centimeter measurements. Tear a piece of tape off and stick to your pattern for quick sizing reference, stick to your car's dashboard when you're road trip knitting, or share a piece with a friend who forgot their tape measure. 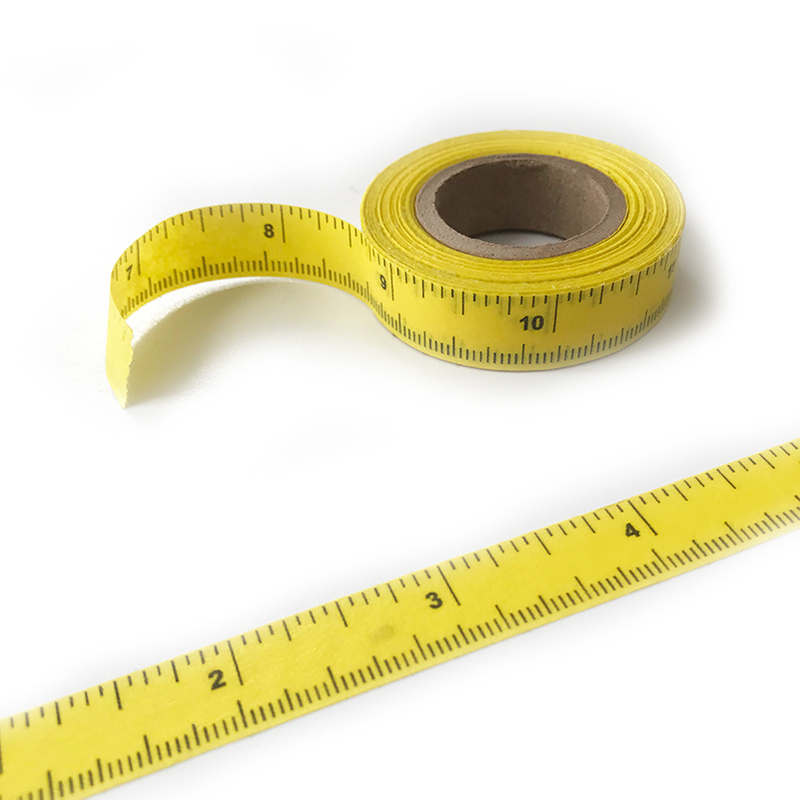 Tape measure 1/2" in width and is 10 yards long. These adhesive backed paper tape rulers are great to have on hand wherever measurements are needed!